First, it is important to differentiate between a Group and a Department. A Group is created to facilitate Group Questions and contains group members. A Department allows you to set Department Objectives and no members exist in a department. Want to create a group instead? Only admins can create departments. Your groups will not be synced with departments, so you will need to create new departments for the purpose of objectives- even if you have groups set up for questions. 1. Click on your avatar in the upper right corner. 2. Click on 'Company settings' or 'My account'. 3. On your left hand navigation under the Features section, select 'Objectives'. You can also click onto 'Manage features' and 'Configure' your Objectives settings. 4. Then click 'Manage departments'. 5. Last, click the 'Create' button or select the Department you need to edit. NOTE: Reporters and reviewers can no longer create departments as they create objectives. Only admins have this permission. If reporters and reviewers try to create a department while creating their objective, they will see a message telling them to reach out to company admins to create the department. Once I've created a Department it is not appearing when I try and assign it to an "Objective". Also Duplicate Departments are now showing. 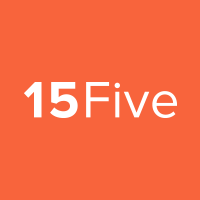 Hi Brian, I am so sorry we missed your comment earlier, can you email our support team at support@15five.com or click on our orange chat bubble on the lower right hand side and we can help you right away. Our live chat hours are from 8am-5pm PST Monday through Friday.